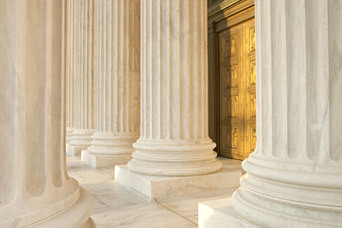 In almost every case on which we work in the Supreme Court, the firm works closely with the attorneys who litigated the case in the lower courts. We almost never replace existing counsel unless counsel does not wish to, or is unable to, participate in the case. However, because the firm takes pro bono cases primarily to provide an educational opportunity for the law students in the Harvard clinic, we usually require that the firm take the lead in writing the briefs and that any merits case be argued by one of the clinic instructors. If you have a case in which the Supreme Court has already granted certiorari, and your client might qualify under these broad criteria for pro bono representation, please feel free to contact us. The firm is very likely to be able to help – given its small size, the firm rarely has conflicts and tries to provide our students with work on a wide range of subject matters. If you have a case that you believe is a good candidate for certiorari, please send the information by mail, including the lower court opinion and your contact information. Someone at the firm will examine the case and contact you shortly to discuss the case further or to let you know that we will be unable to help.